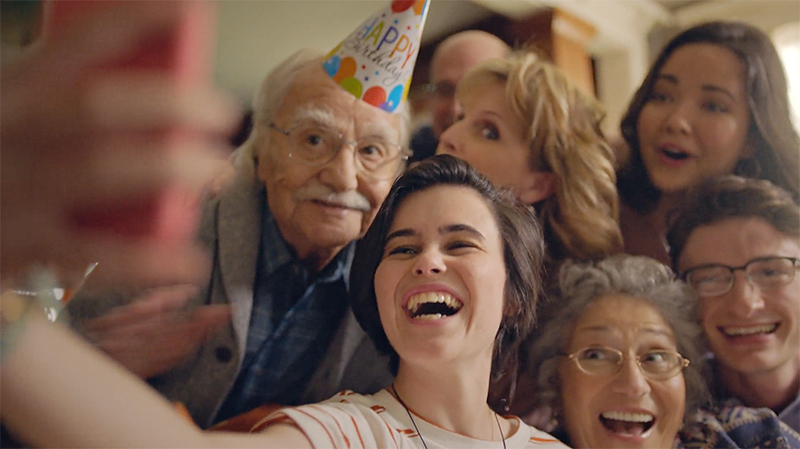 This weekend, Snapchat debuted their first commercial during the NCAA Final Four, surprising viewers with cheery content seemingly geared towards all demographics. The ad hammers home the message that snapchat is a “camera” that cares a lot about your happiness. The commercial features people of all ages, snapchatting every day occurrences like brushing their teeth, watering their lawn and playing with their dog, to show that the app enhances these trivialities by adding a little fun. The ad ends with “So yeah, snapchat is a camera that cares more about how you feel than how you look,”——a subtle jab to their aesthetic-oriented competitor, Instagram. 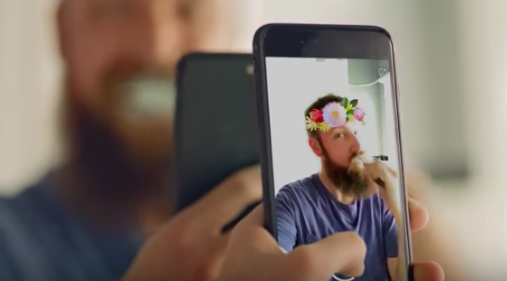 The commercial comes at a time rife with obstacles for Snapchat. The company has been underperforming for months now, thanks to competing apps that have taken what used to make Snapchat special and incorporated it into their own user experience (think “Stories” on Instagram and Facebook), and their new design that has even the most avid Snapchatters upset and questioning their loyalty. The new design was supposedly meant to increase the app’s potential advertising dollars, and users aren’t happy that they are prioritizing the monetization of users over user-satisfaction. The ad seems to be an attempt to broaden Snapchat’s range of users and get people invested in what they have to offer, something they feel is unique to their particular brand. 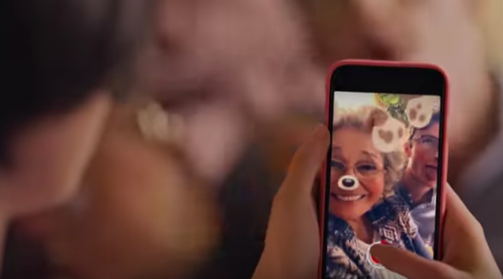 However, Snapchat’s new mission to get even your grandparents on board with the app could potentially backfire, further distancing themselves from what makes Snapchat so intriguing to begin with. At its onset, Snapchat became popular for the privacy it allowed, unlike apps like Facebook, which has a sturdy reputation for listening to its users, and where your post from 7 years ago is easily traceable by basically any of your friends. Snapchat, whose logo is a ghost, automatically deletes conversations and allows stories to remain up for just a 24-hour window. In a world where our posts typically remain cemented in an online space forever, this is intriguing. On why Snapchat became so popular, a writer at Inc.com says, “Why? Because it’s one of the only places users can be themselves without having to worry about whether or not their future boss will fire them or their mom will scold them for drunkenly singing Rihanna at a piano bar.” With Snapchat’s new mission to get everyone and their mothers on the app, this, in a way, defeats the purpose. Whether or not the advertisement will be successful in recruiting new users is unforeseeable, and if it is unsuccessful then I fear Snapchat is running out of options—though, the power of exposure is great, so it just might be exactly what the app needs to remain with its head above water.